Since 2012, Tacugama Community Outreach Programme (TCOP) has been conducting research using camera traps and semi-structured interviews in various districts of the country. The objectives of these studies are to obtain data on the wild chimpanzee population living in human-disturbed habitats, to estimate biodiversity richness, and to learn about the impact of crop foraging by chimpanzees and other wildlife. 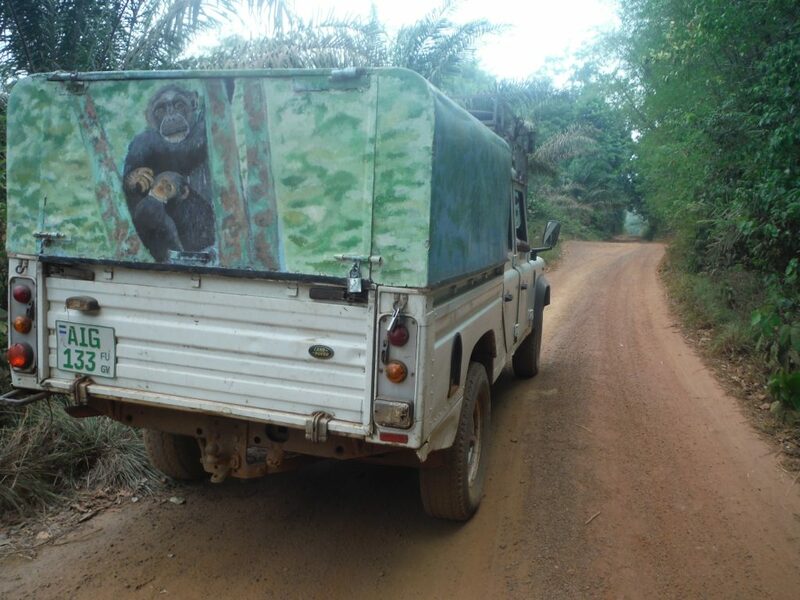 Field research has been conducted in Western Area Peninsula Forest Reserve (2011-2012/2016-2017), in Moyamba district (2012-2017), in Tonkolili district (2013), in Port Loko district (2013-2014), in Bombali district (2014) and in Pujehun district (2016-2017). 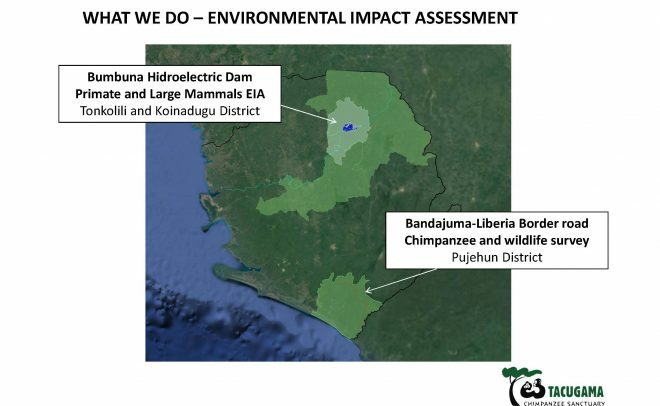 In addition, Tacugama has been part of the research team for different Environmental Impact Assessments (EIAs) including the Bumbuna Hydroelectric Project or the construction of the highway from Bandajuma to the Liberian Border.